Snowboard Wallet (Black Stripes) - SKRAP Skateboard Inc. 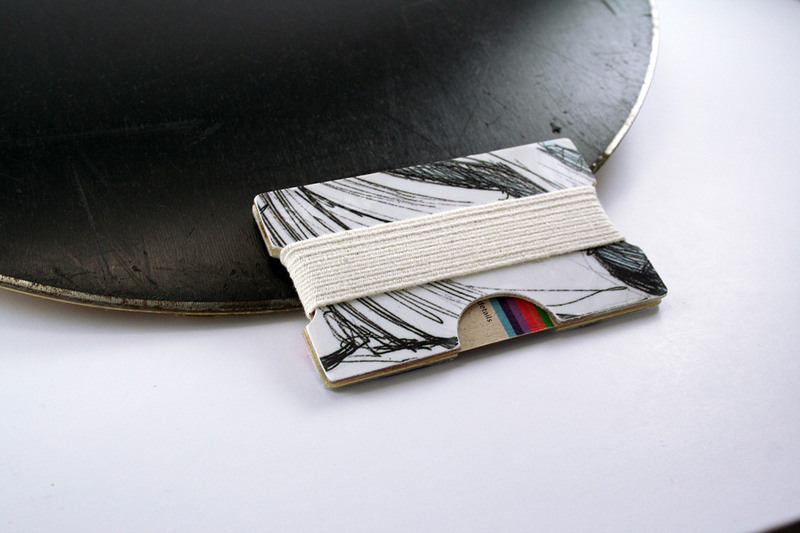 This minimal wallet is perfect for caring your credit cards and a bit of cash. Each one has it’s own one-of-a-kind design and color scheme and are all cut from a different recycled snowboard. 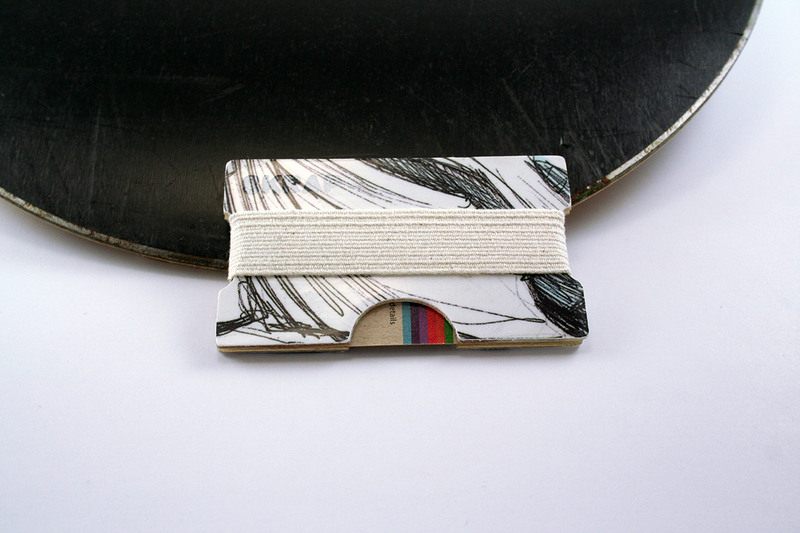 This wallet is very durable as snowboards are generally made from laminated fiberglass. Snowboards also have a layer of soft wood on the inside that gives it a nice soft surface for your credit cards. 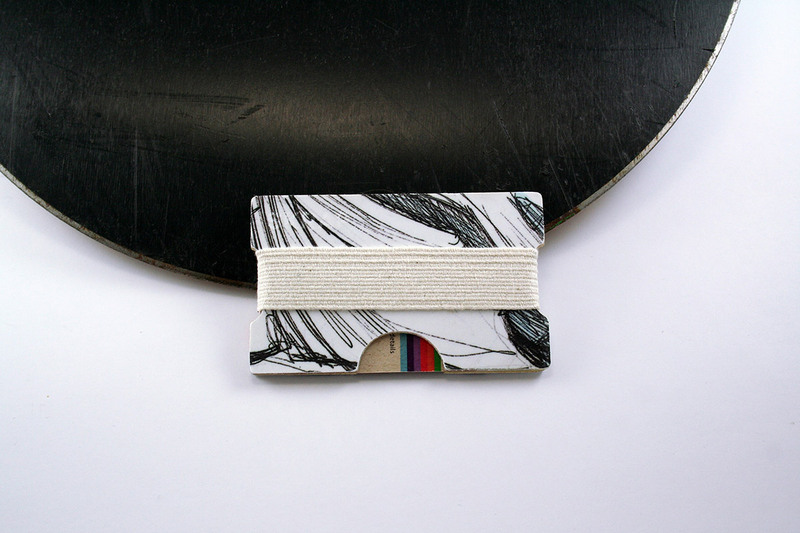 These cardholders are giving new life to an old snowboard. Because all of our items are made from recycled materials it may be a different design then pictured. Leave a note at checkout if you desire a certain color scheme and we’ll do our best to fulfill it for you.